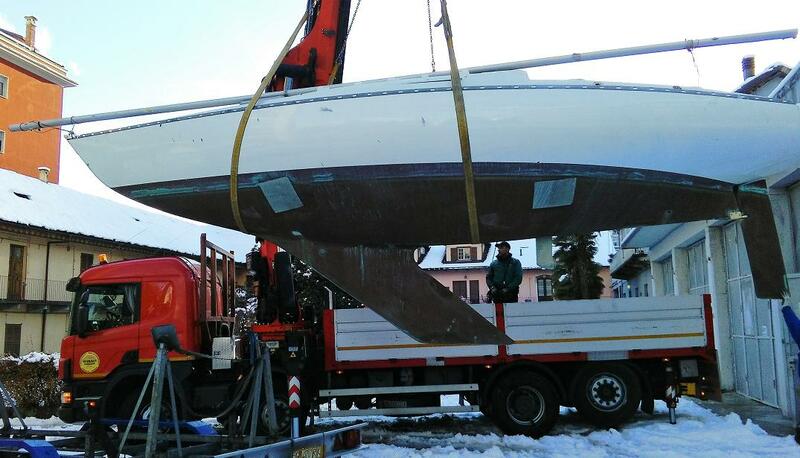 Mai, recieved from Giorgio Rodari : "I leave in the north of Italy, near the Lago Maggiore and I purchased a Delph 28 hull last winter, with the idea to restore it and sail the Lago Maggiore. 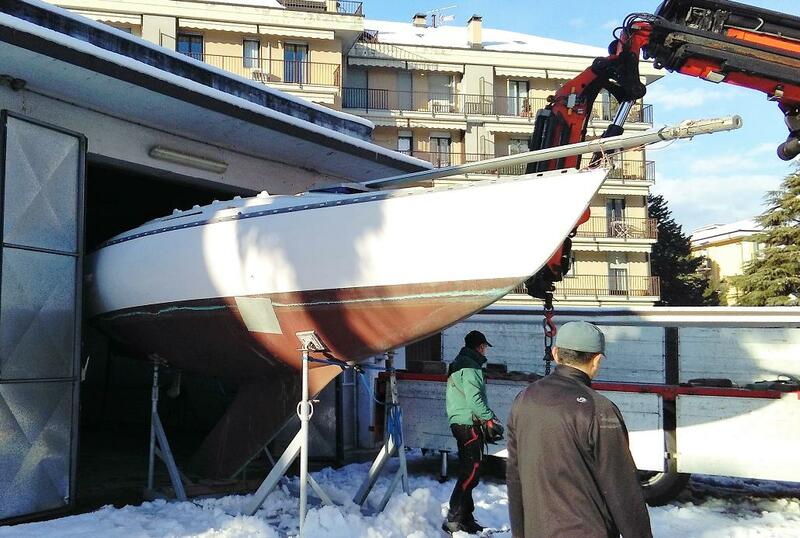 I don't have other information about the boat, unfortunately. 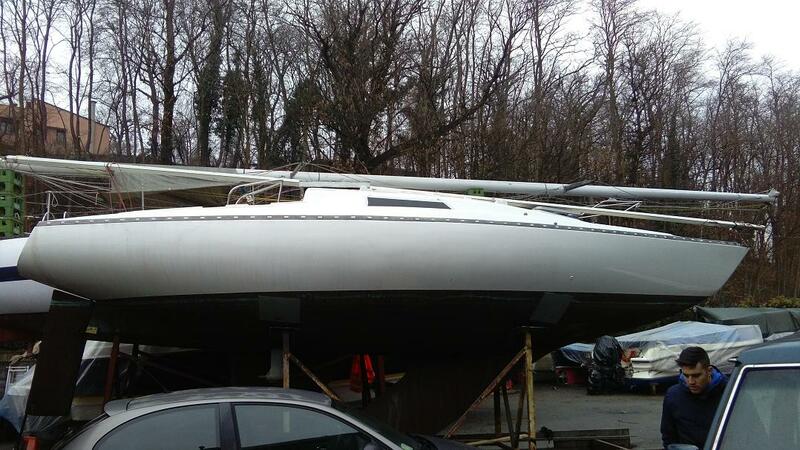 I have only the hull, the sail drive Volvo engine, no mast and sails or boat number so I'll be glad to find other information to build the history of my boat. 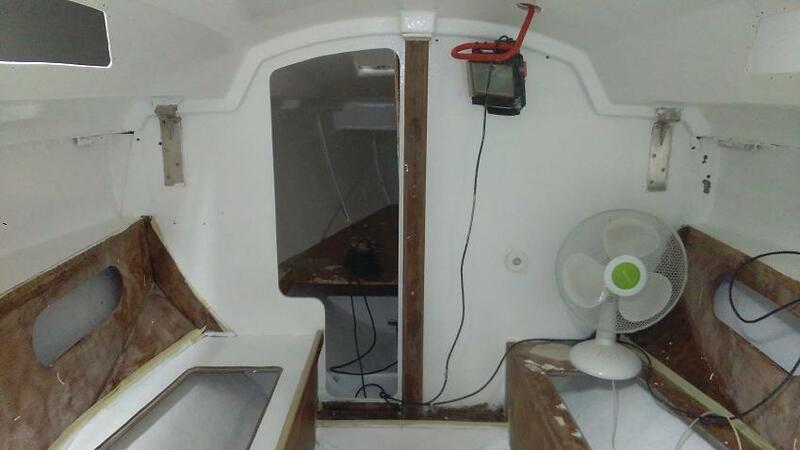 The boat was completely dismantled (also the interior) by the previous owner who started a refurbrishing repainting the hull. So the only thing I got from him is the hull + the engine and a box containing part of the deck equipments. The sails were not original but adapted and coming from an Alpa 8.25 as well as the (short) mast. Now, I found another 11 mt. mast, more similar the original one with new sails. 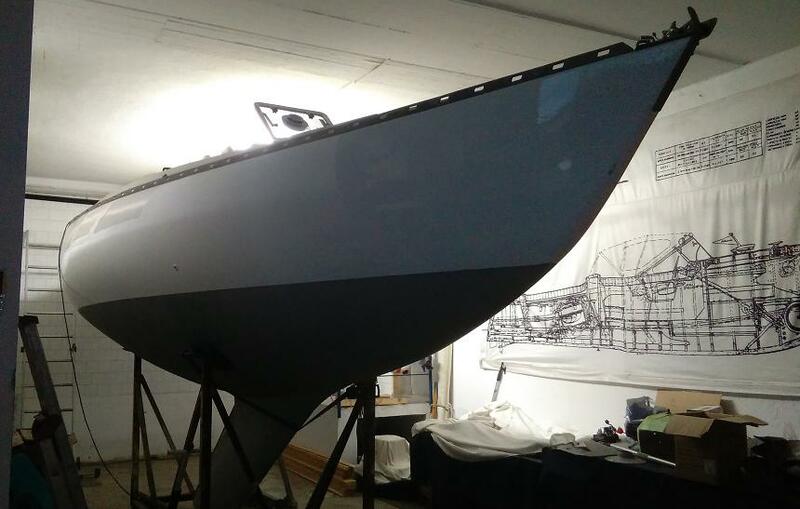 In the coming weeks I'll start to clean an repaint the interior and build totally new electric and hydraulic systems....a big work." with all pictures. 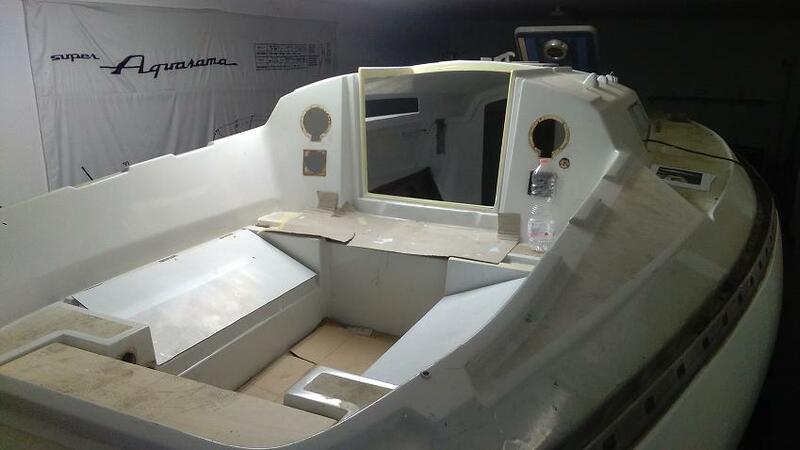 Octobre, from Giorgio: "Some pictures...restoration is going on."